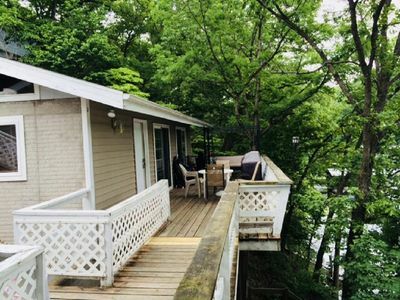 If you want the best location, best view, at one of the most exclusive developments on the lake, there is no better place to stay than the Lands End complex. 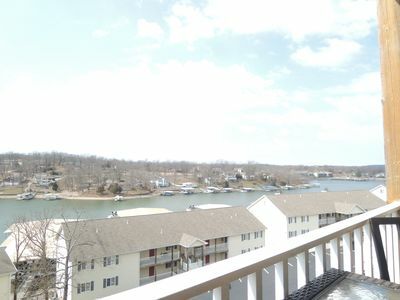 This 15-acre condominium resort in the heart of Osage Beach is located at Mile Marker 19, the intersection of the Glaize Arm and the main channel. 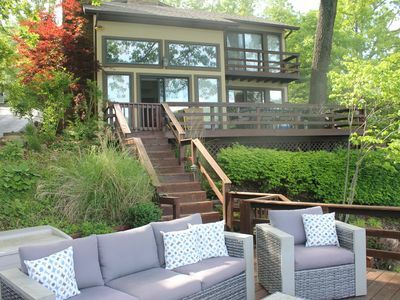 This locale offers breathtaking miles long view of the lake, sunrises, and sunsets. 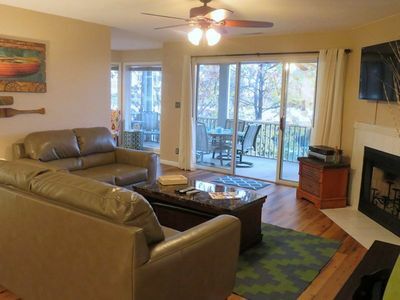 It is minutes away from needed groceries, great food, endless shopping, entertainment, golfing, nightlife, and FUN for the entire family. 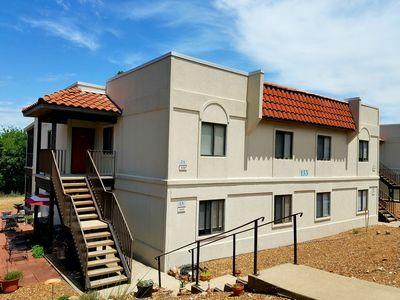 Family activities include, but are not limited to: nearby water parks, family oriented arcades, go-karts, mini golfing, watercraft rentals, and located 1 mile from the complex is seemingly limitless shopping at the 110 store outlet mall. 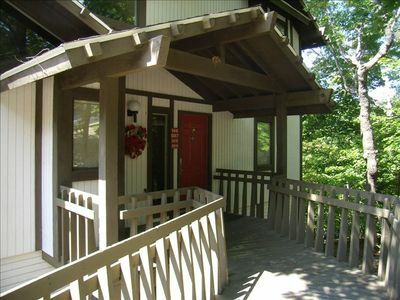 Amenities:: The resort has an array of amenities for almost everyone in the family. Between buildings five and six is a Zero-entry pool with water continuously fed into it by a beautifully decorative waterfall. 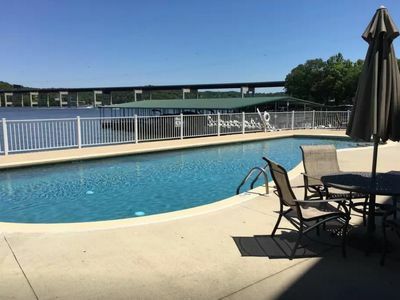 Located at the beginning of the complex is a family area including: a fenced-in children’s water park with a lazy river, a separate children’s playground, a picnic/cookout area, and a half basketball court. In the center of the complex is the expansive new 5,000 square foot clubhouse that boasts an excellent workout room equipped with a large variety of professional equipment for cardio or weight training. The clubhouse also includes a bar and kitchen area, pool table, and large social area. 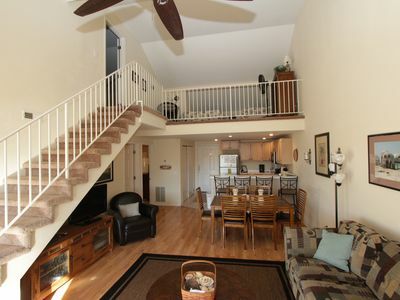 Each condo also includes a furnished walk out balcony, washer, and dryer. Other useful information:: This complex enforces quiet hours from 11pm-7am. 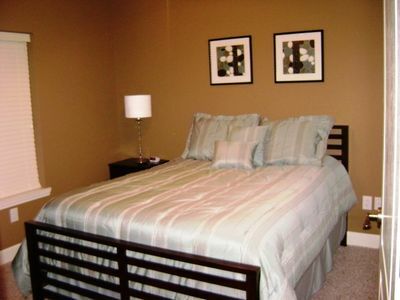 The capacity of each condo may vary depending on square foot, sleeping arrangements, and owner’s request. There are no pets allowed at the complex for renters. Air mattresses can be made available upon request at booking and subject to availability at time of booking. 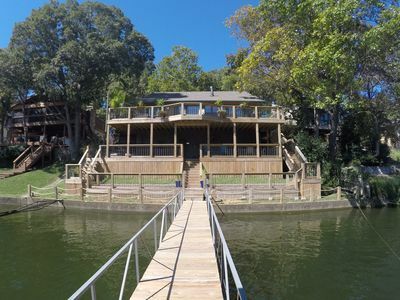 Boat slips can be made available upon request at booking and subject to availability at the time of booking for a small additional fee per day with a discounted weekly rate. 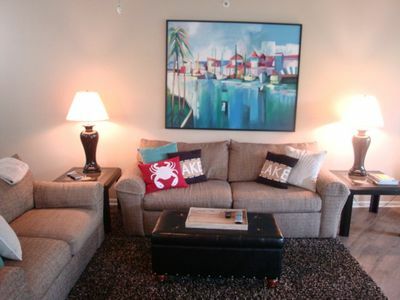 Each condo is fully furnished to owner’s taste; basics (toiletries, paper product, etc.) are provided to start off a wondrous stay. 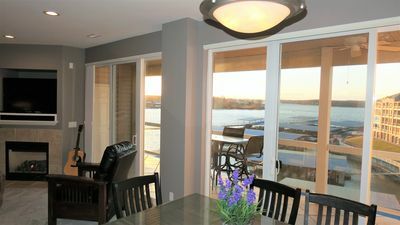 The provided kitchenware is basic and quantity may vary per condo. Two to three towels and washcloths are provided per bathroom, if in doubt of quantity or needs, please bring your own along with your own pool area towels. 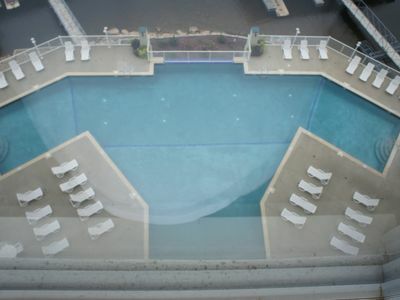 The towels provided are to remain in the condos and are not to be used for pools, water park, or boating. 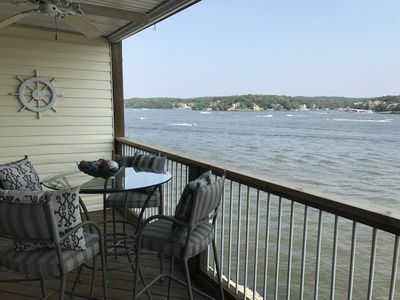 Lakefront Cottage At 4mm On Quiet Cove Of Lake Of The Ozarks! Brand New Dock! !